To bring you up to date on the Quilts for Grenfell. 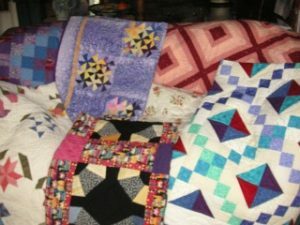 I will not deny that finding a reliable connection for your quilts to reach their intended destinations, has been extremely challenging. Hopes raised then dashed, it has been a real roller coaster. With the help of BBC Radio Cornwall, we have made the amazing connection with Cornwall Hugs Grenfell. Esme Page has created a remarkable scheme and with the help of many contributors, offers free holiday breaks to the families, first responders and those dramatically affected by the Grenfell Tower tragedy. 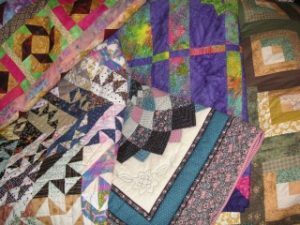 When families come to visit they will be offered your quilts, so they will go direct from you to the families. 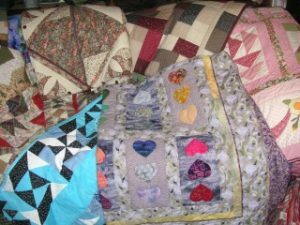 I have heard many concerns about where these quilts will go, whether they will be stored in boxes in warehouses, sold, or find their way other than where we wish them to be. I would like to reassure you that we will be holding them ourselves until they are handed to the families involved through Cornwall Hugs Grenfell. 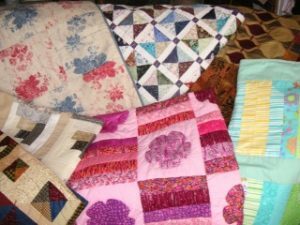 More updates will follow in due course, but I can say, on their behalf, a huge ‘thank you’ to all who have been able to create and donate such beautiful quilts of all sizes. cornwallhugsgrenfell.org Go to ‘Guests’ and then to quilts in the dropdown box.